Swedish furniture and meatball purveyor IKEA is branching out into wearables that aren’t just those giant blue bags your carry your laundry in. 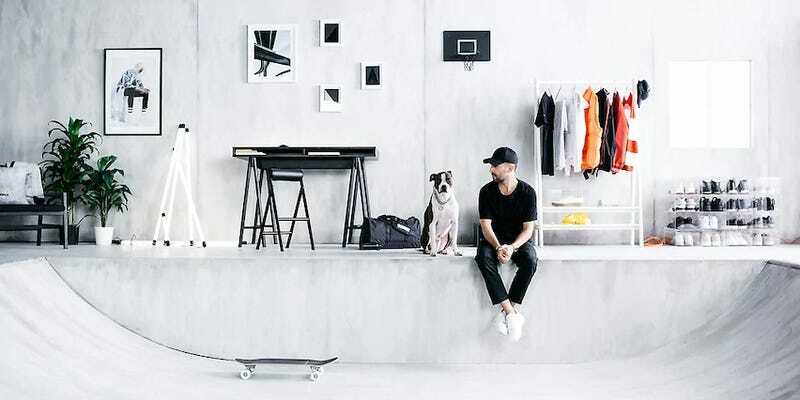 Nestled into their newest SPÄNST collection are a few clothing items you may want to store in your KALLAX. The collection itself is in collaboration with LA-based designer Chris Stamp and his company, Stampd. It’s mostly minimal, with the main colors being black and white, with some grey here and there. The main adornment of the soft goods in the collection is the coordinates of the first IKEA store in Sweden and the first STAMPD store in the USA. There’s standard IKEA fare, like a shoe/skateboard rack hybrid, an armchair, and cushion covers, but there’s also a t-shirt, hat, and hoodie. They’re actually pretty great looking and feel like something a little more substantial than the typical designer collab clothing lines most bigger brands come out with, especially brands that don’t normally feature clothing. And to top it all off, the prices are in line with IKEA, with the hoodie being $25, the t-shirt $10, and the hat only $7.